عندما تزور ألبانى, ستشعر أنك في بيتك في Albany Central Apartments الذي يقدم لك إقامة متميزة و خدمات عظيمة. يقع الفندق على بعد من مركز المدينة، ويؤمن الوصول إلى أهم مراكز المدينة. إن سهولة الوصول من الفندق إلى المعالم السياحية الشهيرة الكثيرة في المدينة كمثل ‪The Church of Saint John the Evangelist‬, Albany Farmers Market, الباني دوف دوت كوم هو استثنائي بحد ذاته. يقدم Albany Central Apartments خدمات لا غبار عليها وكل أشكال اللياقة وحسن الضيافة اللازمة لإسعاد ضيوفه. يمكن للنزلاء الاستمتاع بالميزات التالية: واي فاي مجاني في جميع الغرف, مجهز لذوي الإحتياجات الخاصة, مرافق مخصصة لذوي الاحتياجات الخاصة, تسجيل وصول/خروج سريع, تخزين الأمتعة أثناء إقامتهم في هذا المكان الرائع. لقد جهزت هذه الإقامة الفندقية بعناية فائقة لتوفر مستوى عالي من الراحة. في بعض الغرف يجد النزيل تلفزيون بشاشة مسطحة, اتصال لاسلكي بالإنترنت, اتصال لاسلكي بشبكة الإنترنت (مجاني), غرف لغير المدخنين, مكيف هواء. كما أن مجموعة الخدمات الواسعة الموجودة في الفندق لضمان راحتك تترك لك الكثير من الخيارات لقضاء وقتك أثناء فترة إقامتك. يشكل Albany Central Apartments بخدماته الراقية وموقعه الممتاز، قاعدة مثالية للاستمتاع بإقامتك في ألبانى. The little extras made it so welcoming. A home away from home! Absolutely loved our stay in Apartment #2. We are a younge couple that travel alot & we could not fault anything. The place was super clean, comfy bed, spacious bathroom & the fresh ground coffee was a extra bonus. Located only a street away from the main strip & cafes there is alot you can accomplish by foot. Will defiantly be back! A lovely clean apartment with all facilities we needed and a fresh bag of coffee as well. Great, quiet location with off street parking. 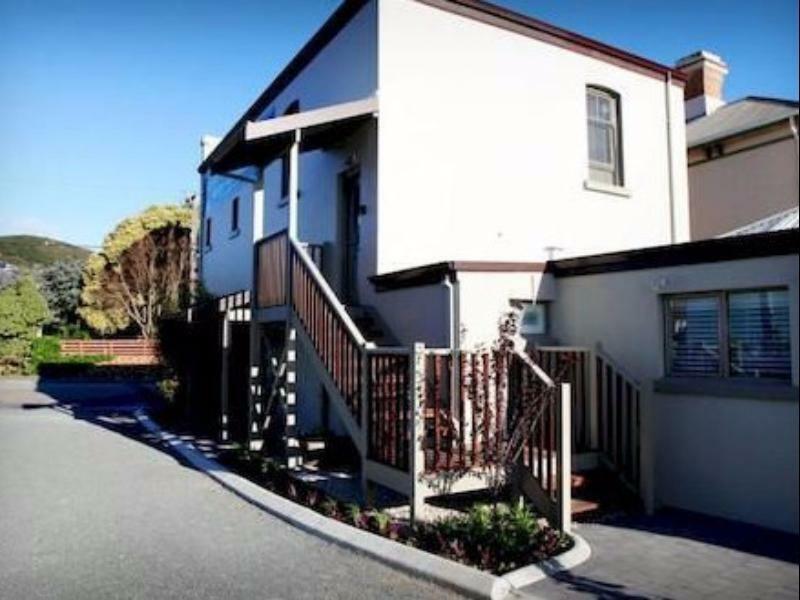 Walking distance to shops and food. It was the perfect accommodation for business travel....and I will head back to stay there for a holiday some time soon. Spacious 2 bedroom apartment that you could live in for a period of time. Entrance downstairs a little tight, especially with luggage. Matress in bedroom 1 (with ensuite) needs replacing as the mattress side wall collapses particularly when laying on your side. Otherwise the facilities, location and space in the apartment in superb. Our recent visit to Albany was made all the more enjoyable by our accommodation at the apartments. It had all the conveniences one would need for a short stay and the place was conveniently located, clean and comfortable. Would highly recommend on the above basis. Quiet, clean, and nicely furnished apartment! 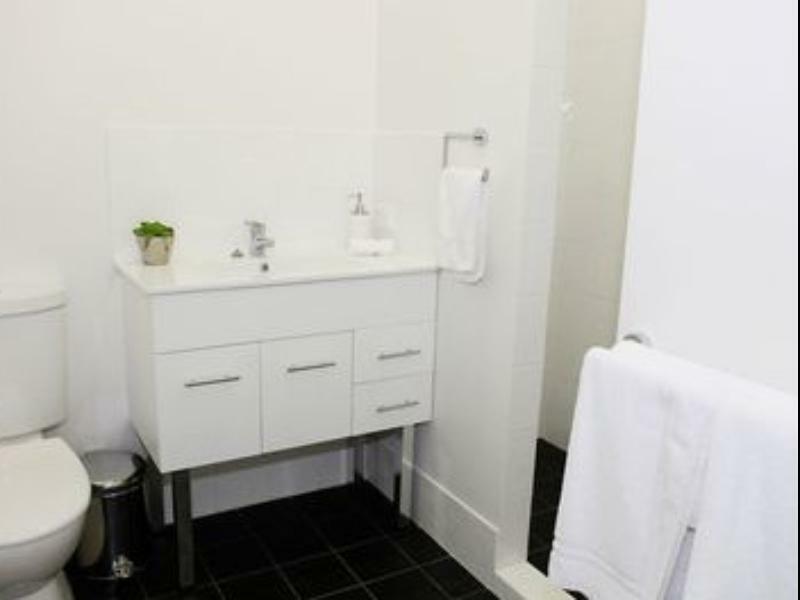 All amenities that we could possibly think of are provided in the apartment. Located just on the edge of the (small) city centre, it's perfect for quiet holiday. The only thing that could be improved is to have the airconditioning/heater unit in the room (as an addition) as using the one in the main room to heat up the bedroom is not too efficient. HOWEVER, as it's a small apartment, it doesn't take too much to heat up both. Will definitely recommend this place for anyone going to Albany! This is our 2nd time to stay there. As usual, it's so clean, nice. The kitchen has all the stuffs that you wanted, except Oli n scissor. Clean with many games and dvds. Lemon tree in the alfresco created nice feeling n good view. We loved how central it was to all the shops and cafes. 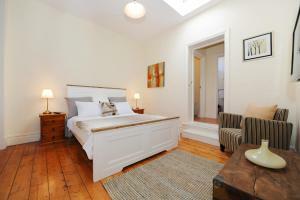 The place is nicely furnished and is located centrally making it easily to move around in the town. The only thing that bothers me is their check in process. No one was there and we were required to call a number which went to an answering machine. They did call back sometime later and I was told we were stranded because I never contacted them as requested. I told them I did not receive such request and they promised to send me the instructions for checking in. After much waiting and calling again, I finally managed to check in more than an hour later when I received the code for the door. I finally managed to check my emails with the provided wifi and found Agoda had sent me a email the day before requesting I contact the owner. Too bad for me cause I'm already travelling in a remote part of Perth outskirt with no internet connection. This contact request should be at least be a week or 2 before my arrival instead of a day. I'm not sure whether this is a Agoda's problem or owner's problem. I just hope this process can be improved. My partner and I enjoyed every moment!!!! Was such a beautiful area and place to stay in. Everything is close walking and all the extras are at your finger tips, clean and very inviting. We stayed there for 2 nights as part of our honeymoon. Check in and check out instructions were easy. Parking and wifi were available for free. Room was clean and spacious. Would stay there again if we visit the area in the future. Highly recommended. My family really enjoyed the stay at Albany. Nice touch to have complimentary grounded coffee from local roaster. Centrally located, Well designed and appointed apartments. Thoughtful in details. Impressed by what we saw and experienced. Very welcoming. Gives us a very homely feeling.